We highly appreciate your interest in working for the SANDEMANs NEW Europe group (hereafter “SNE”). We want to make sure that you understand what kind of information we will be collecting from you via our career section (“the Site”) and how it will be used. Nationality and immigration status (whether you are entitled to work in your country of interest). The personal data you submitted and any additional personal data will be used to assess your skills and interest in career opportunities at SNE and to process your application. Extra information that your referees chooses to tell us about you. SANDEMANs NEW Europe is a global organisation – this is what enables us to offer the level of services that we do. In order for us to continue operating in this way, we may have to transfer or store your data internationally with members of SANDEMANs NEW Europe Group. Access to your personal data will be shared with employees or agents of SNE on a need to know basis. If you apply for a function with relevance for SANDEMANs NEW Europe Group, your application may be shared with SANDEMANs NEW Europe companies worldwide, including but not limited to UK, Ireland, US, France, the Netherlands, Denmark, Belgium, Germany, the Czech Republic, Spain, France or Israel. Please click here for details of all SANDEMANs NEW Europe Group offices. Depending on the vacancy, you may be requested to perform an online assessment to establish whether you meet certain job requirements (e.g. language tests, job preview and competency tests). Your assessment results may be used to provide specific training and/or coaching during the employment with SNE and your assessment results may be shared with managers and/or coaches for this purpose. If you do not meet the assessment requirements, your job application procedure shall be terminated. If your application is successful, your personal data will be used for a pre-employment screening check. Depending on the vacancy, a pre-employment screening may include verification of skill proficiency, criminal history, financial history and other information that may be necessary for determining your qualifications for the open position at SANDEMANs NEW Europe. You will be informed thoroughly about the entire screening process beforehand separately. 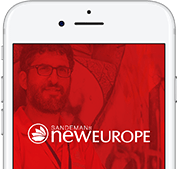 If SANDEMANs NEW Europe employs you; SANDEMANs NEW Europe GmbH shall share your relevant personal data with the employing member of the SANDEMANs NEW Europe Group. Your personal data collected during your application period will become part of your personnel records SANDEMANs NEW Europe GmbH may retain your personal data collected during your job application procedure for a period of 6 months following the end of the job application procedure, unless otherwise required by applicable law. If SANDEMANs NEW Europe does not employ you, only with your express consent, SANDEMANs NEW Europe GmbH may continue to retain and use your personal data in order to consider you for new positions. SANDEMANs NEW Europe may refer back to an earlier application in case you submit a new application in the future. In this respect SANDEMANs NEW Europe GmbH may retain your personal data for a period of 6 months following termination of the job application procedure, unless otherwise required by applicable law. Please contact privacy@neweuropetours.eu if you do not wish to be contacted anymore by SANDEMANs NEW Europe for new job vacancies. We may amend this statement at any time by posting a revised version on the Site. The revised version will be effective at the time we post it. If the revised version includes a material change, we will provide you with 30 days’ prior notice by posting a notice of change on this Site. If you do not agree to the changes, please contact us at privacy@neweuropetours.eu. This privacy statement and the processing of your personal information during the job application procedure is governed by German data protection law.